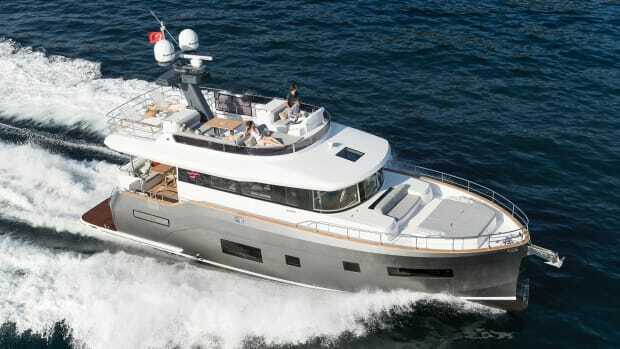 The Numarine 105HT carries similar shapes and color schemes into a larger LOA for this Turkish builder. 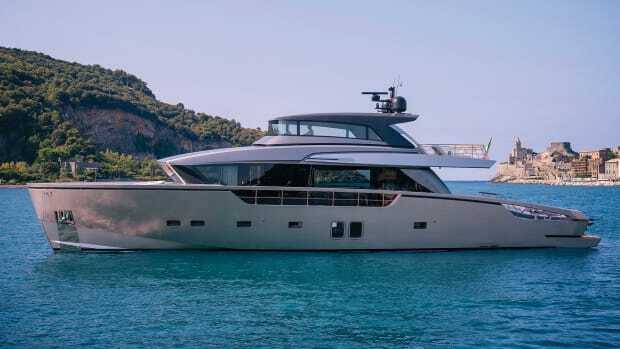 Take a look at the offerings coming out of Numarine, a builder based in Turkey, and you will begin to get a profound sense of something larger than just a new model or two. 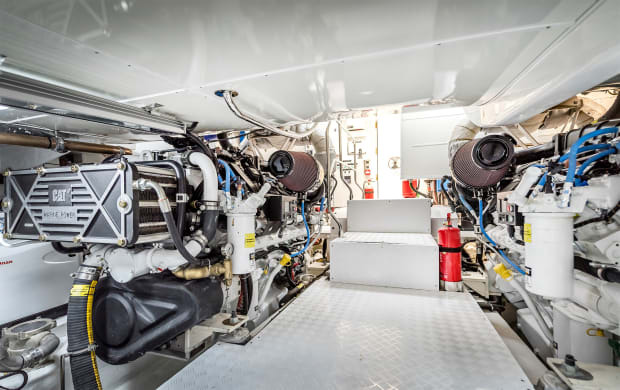 Something is going on here and it’s nothing short of a worldwide effort, and a really good place to start to broaden your understanding is the Numarine 105HT. 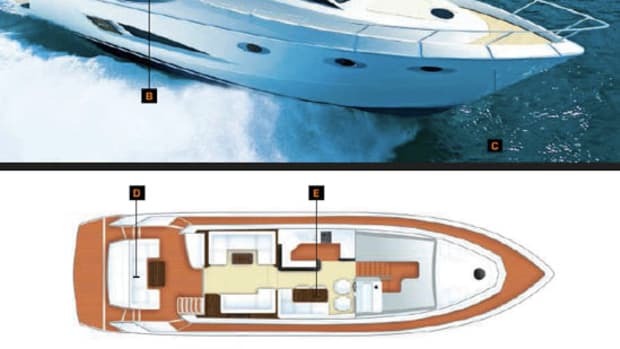 Hulls one and two of this model were launched in one year’s time and delivered to clients in Europe and Hong Kong, respectively. 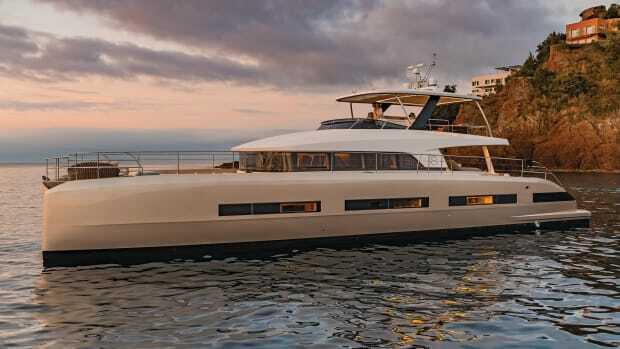 It’s a sporty build in the large express-yacht style that downplays the top deck in a way that has grown popular. 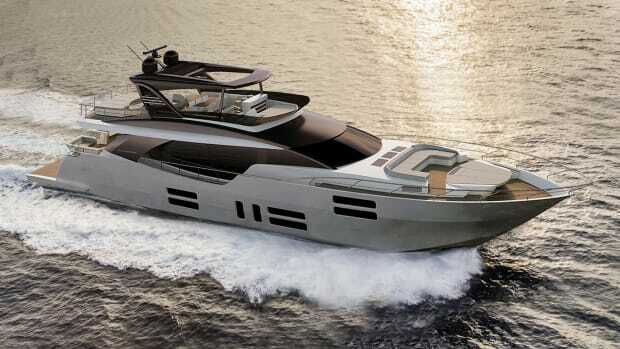 With a pair of 1,925-horsepower Caterpillar C32 ACERTs, the Numarine 105HT cruises at 26 knots and tops out at 31. 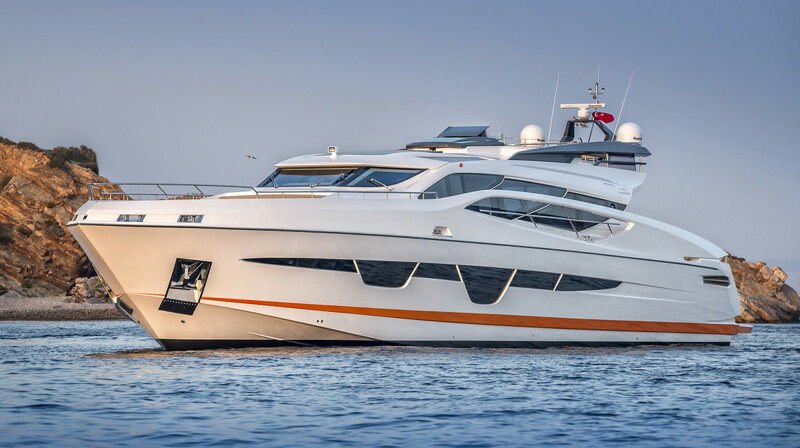 By pairing a luxurious interior with wide-open exterior living spaces, she has something for everyone who comes aboard. 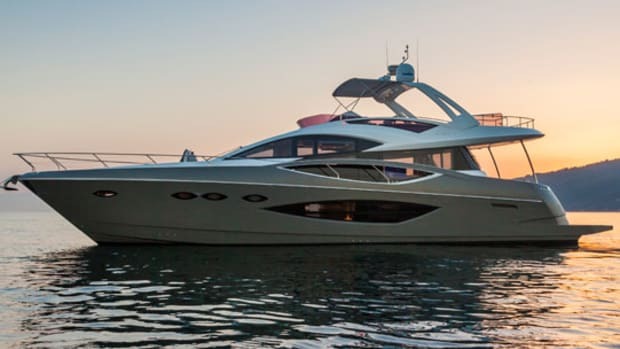 But it’s the Numarine DNA that will stop you in your tracks, and it’s unmistakable: There’s a side arch on each rail that creates a shape beneath it that mimics the outline of the huge salon window just behind it. 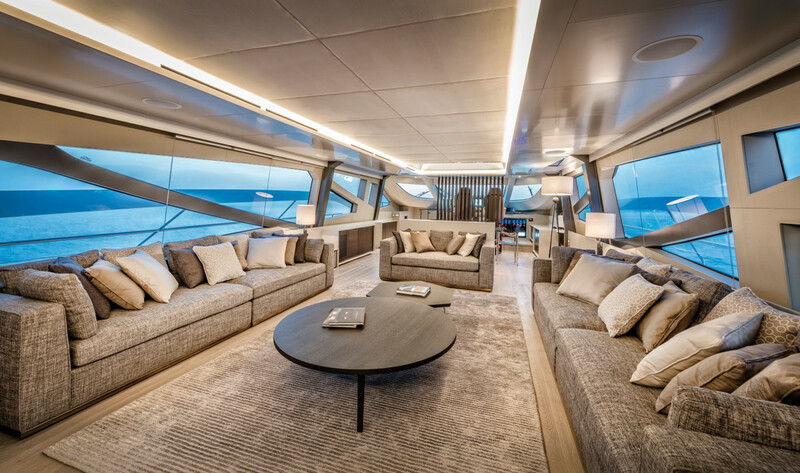 Then there are the inverted trapezoid-shaped windows along the hullside that light the accommodations within while simultaneously serving to break up the acreage of fiberglass. 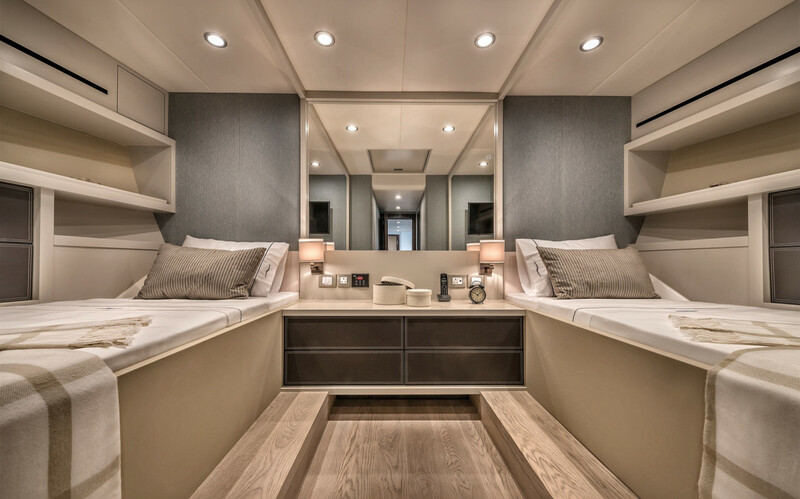 Keep in mind the vacuum-infused hull results in a stiff build with excellent strength-to-weight ratios, according to Numarine. When a boatbuilder starts to create something new, the designers tasked with exterior lines, interior flow, and seakeeping and performance must work together if they’re to achieve a result that is something greater than the sum of its parts. It all has to work together, and no one should feel like they’re ceding too much control over their bailiwick. 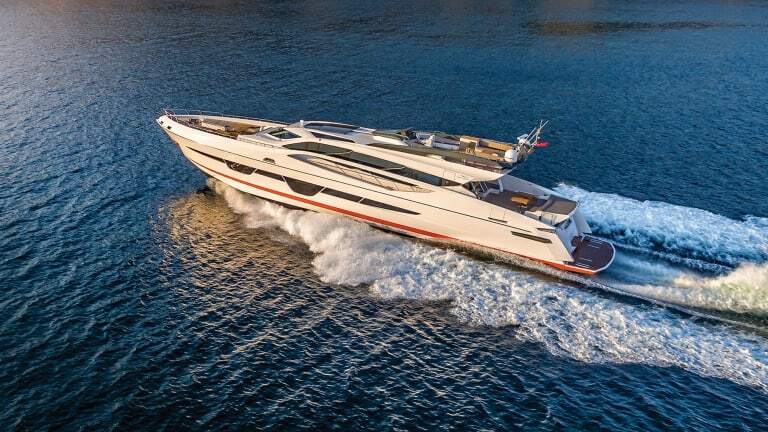 Fortunately for Numarine, designer Can Yalman oversaw the concept and took charge of the exterior and interior design, while naval architect Umberto Tavigliani addressed the sleek hull shape below the boat’s waterline. 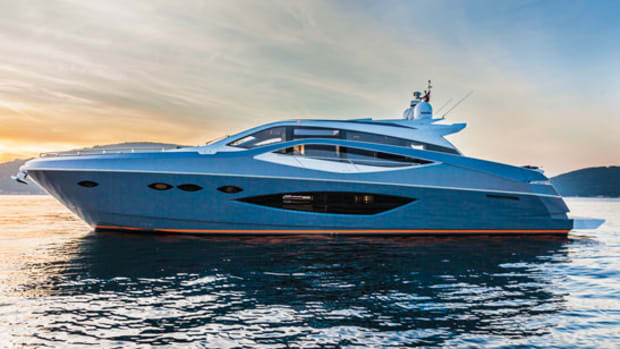 “The Hard Top design has the gill-shaped glass elements in the superstructure,” Yalman says. “Previously we have used this in the ceiling panels, but in the 105HT this has been taken to the extreme and the complete side glass has this gilled, scaled structure emphasizing the creature aesthetic and power within. Taking stylistic language [from] the automotive industry, mainly supercars, we tried to emulate the power, speed, and luxury feel.” Nothing short of elegance in motion is what they tried to achieve in the design of the Numarine 105HT. 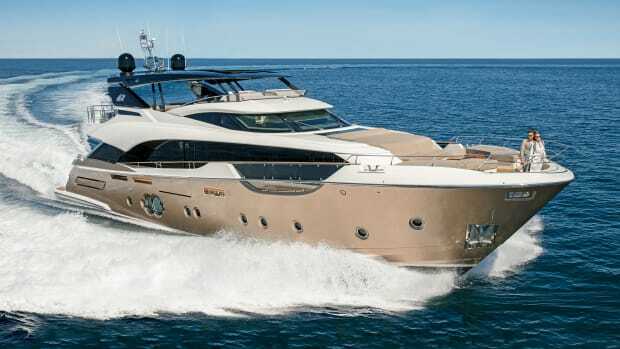 She’s definitely got the look, long and streamlined with inviting exterior spaces fore and aft as well as a top deck that fits the profile. 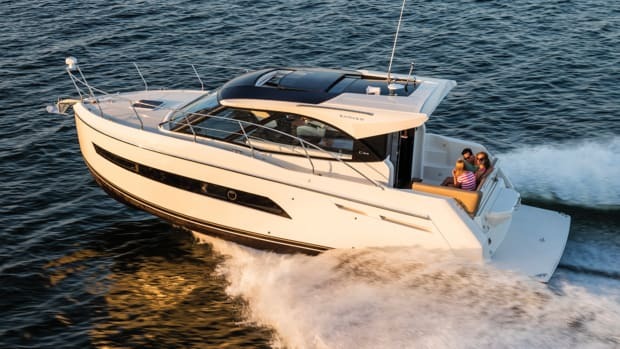 Combine those striking looks and performance with the confidence afforded by a sales and service partner in Ft. Lauderdale-based Bradford Marine, and it seems like only a matter of time before a 105HT will fetch up on our shores. 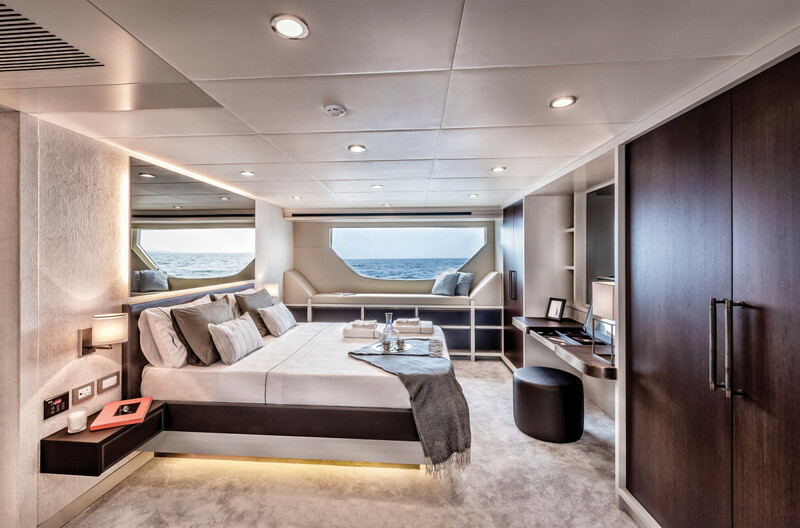 The forward guest stateroom makes the most of the hull’s sharp entry.